I'm glad to hear that downtown Charlotte was safe yesterday! I've been worried about all of you since hearing about everything on the news. Have a wonderful Monday! 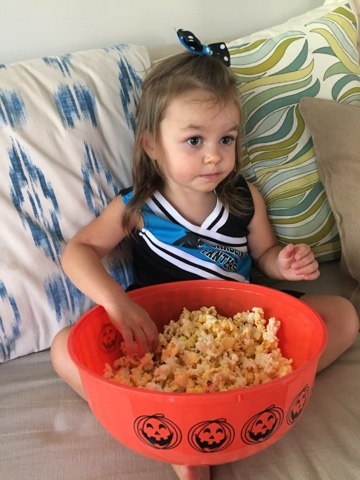 The girls are too cute in their Panthers outfits! Sounds like a great weekend! 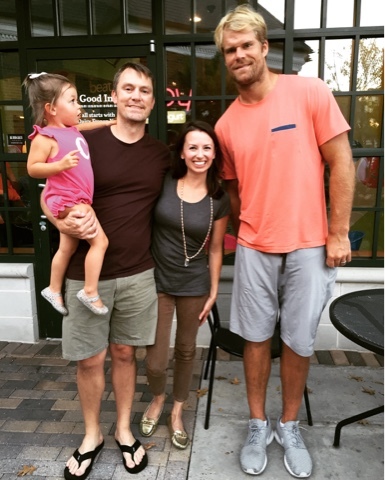 Looks like such a fun weekend and that picture still makes me chuckle bc that guy is enormous compared to you!! This sounds like a great weekend! I am loving your littles in their cheerleading outfits. Have a great week! 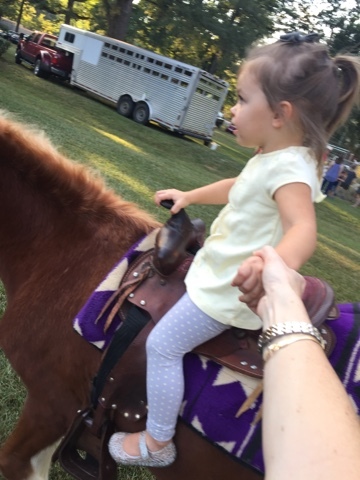 Camille looks too cute on that pony! Camille is so darling! I hope things are indeed getting better in your lovely city! Those horse pictures are so cute! How fun! I'm glad things are looking up there. It must have been so scary and sad last week. 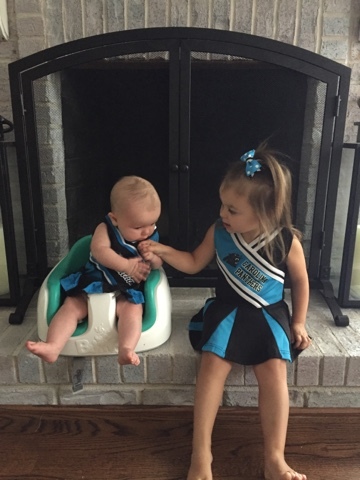 Your little girls are so stinkin' cute in their Panther's outfits!! 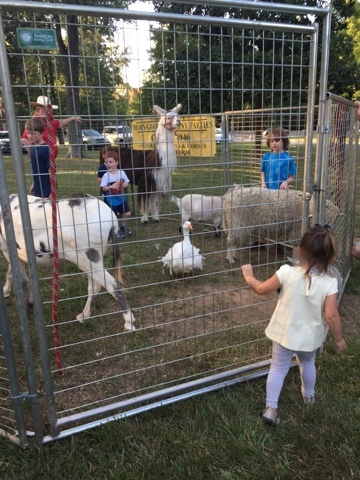 They're such dolls :) Love that you were able to have some one on one time with Camille - I'm sure she really enjoys those times!